If you think drones are just toys, you’re making a big mistake. As a business owner, there might actually be a number of different areas where drones could really help. Drone technology looks set to revolutionize a number of different industries. Whether you operate in one of them specifically or not, you might still be able benefit from their use in your supply chain or otherwise. In this article, we’re going to look at how drones could help your business. They could help by saving you time and money. In many ways, they could help take your business to the next level. You might have seen Amazon running trials on delivery drones and once a few issues have been sorted, they could completely change the logistics and delivery industries for the better. If you run a delivery business yourself, then drones should be big news for you and something you’re already aware of. 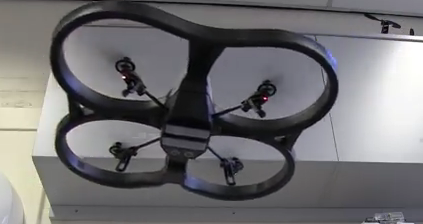 Whether you deliver pizzas or computers, drones could help. However, if you don’t run a delivery business, you might be wondering how these drones could help you. You probably still rely on delivery firms quite often, and these drones could mean you get your supplies much more quickly, and much cheaper. If you are in farming or another agriculture related industry, you’ve probably seen how much drones could help your business already. That’s because simple processes like spreading pesticides or even watering crops have become much easier and cheaper with drones. Now expensive crop planes are a thing of the past, and so is doing it all yourself one row of crops at a time. You can program a drone to take care of it for you, or sit somewhere safe to control it as your crops get looked after. If you’re looking to expand your business by building a new site or extending your existing commercial property, getting a wide aerial view for architects to use can sometimes be expensive. Now, with a drone, you can analyze the area in real time and come up with effective plans by providing the best quality images, sometimes fed straight into computers for further analysis. Sites like Dronethusiast.com have much more info on this. If you do a lot of work in remote areas with limited access to the Internet, drones can make a huge improvement. Internet companies like Google and Facebook are trying out drones that hover a number of miles above the ground and act as Wifi beacons for areas that are otherwise hard to lay cables to. If you need to analyze the health and safety of your workforce, it’s something that the right drone package can now help you do quickly and easily, without taking up too much time from your busy schedule. Drones look set to improve a number of different businesses over the next few years. Could yours be one of them?